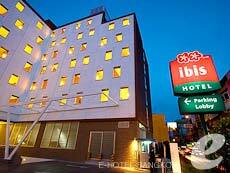 Ibis Sathorn is a new hotel managed by Accor Hotels. 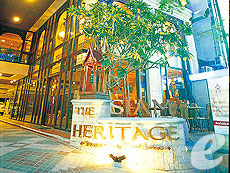 The hotel offers 213 guest rooms and all of them are standard category. It is conveniently located and restaurants and shopping venues are within walking distance. 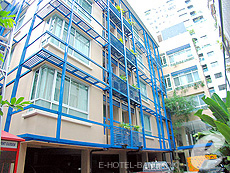 Bally’s Studio Suite is a boutique hotel conveniently located in front of BTS Sala Daeng station, and a minute’s walk from Bangkok’s famous nightlife district, Thaniya Street. A total of 53 guest rooms consist of two categories: Superior rooms (26 sq. m) and Suites (32 sq. m) Facilities are limited (No pool, spa or fitness), but it is in a prime location, within walking distance to restaurants, shops and bars. 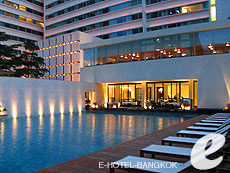 Pan Pacific Bangkok is a high-rise luxury hotel located in the heart of Silom, facing Silom Road and Rama 4 Road. 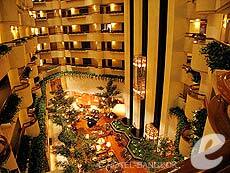 Once you enter the main entrance, the spacious lobby with atrium gives you a luxury feel. 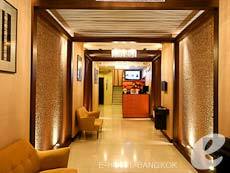 The hotel is conveniently located in a business district, and close to MRT and BTS stations. 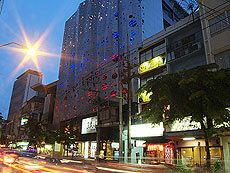 Metropolitan Bangkok opened in 2004, on South Sathorn Road in the central business district. From the lobby to staff’s appearance, everything is casual and stylish. 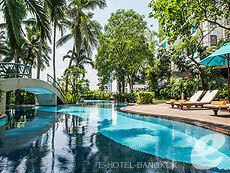 The hotel offers sophisticated service and pleasant cheerful atmosphere. They also proud of the quality of their restaurants and guest room amenities. At our 4 star hotel you can enjoy the picturesque oasis of calm with our oversized free-form swimming pool set amongst lush greenery. Coupled with our warm and welcoming hospitality, Chatrium Residence Sathon Bangkok is truly your home away from home, a personal retreat for your soul with Deluxe rooms and suites with easy access to expressways and airports at both Suvarnabhumi and Don Muang International Airports.